Amidst all the coverage surrounding the failure of Sin City: A Dame To Kill For at the box office you may have missed the news that another weekend release, the adaptation of If I Stay, actually made more on its opening weekend than the film’s estimated production cost. That’s a lengthy way of saying it is a bonafide success, despite the fact critics largely panned the teen romance, and though it may seem impossible to those unfamiliar with the original story, a sequel is a very real possibility. WARNING: Major If I Stay spoilers ahead (duh). Gayle Forman, author of If I Stay, already wrote a follow-up to her bestselling book. The critically acclaimed Where She Went picks up three years after Mia makes the decision to wake from her coma and the relationship she shared with Adam is now a distant memory. She is thriving as a world-class cellist, performing in some of the most famous venues on the planet. Adam is also successful, having used the pain of his breakup with Mia to fuel his songwriting and found countless fans as a result. It’s exactly where you would hope the character would have ended up, except for the fact they no longer speak. On the night of Where She Went, Adam finds himself in New York City as his band prepares to embark on a European tour. After learning that Mia is performing in the city that same night, Adam sneaks into her performance and watches the one that got away the same way he did that first time in their high school hallway. A second ‘meet cute’ moment, if you will. When Mia’s performance is over, she crosses paths with Adam and the two begin talking about the love they once shared. In a manner not too distant from Before Sunrise, the two find themselves with one night to say everything left unsaid, and neither are the same by the time the morning comes. Oh, and there’s one more thing: The entire story is told from Adam’s perspective. Where She Went is a great departure from the subject matter found in If I Stay, and it also makes a rare leap in perspective that is not often found in stories brought to the big screen, but it does offer Hollywood a rare chance to create a sequel that actually showcases some form of growth and development from the lead characters. It’s not a story of life or death, but rather one about the relationships we make with the time we are given. It challenges fans of the original as much as it caters to them, while also providing new reasons (change of perspective) for cinemagoers to take a chance on something a little different from most modern theater fare. I’m not foolish enough to think Hollywood is going to make Where She Went as is, so it’s entirely possible that a sequel gets made without Adam’s narration leading the story. Moretz is a far more popular star than Jamie Blackley, but then again that could change by the time a sequel actually enters production. Either way, the story is still worth telling, and that is really what matters in the end. Sequels have become so commonplace in entertainment today that studios are now announcing release dates for follow-ups before the original is even released. One might think this obsession with bringing characters back for a second journey would lead to increasingly better storytelling, but the opposite has been true for the past several years. Sequels have largely become stagnant, existing to further build cinematic universes that have no real end in sight as long as money keeps rolling in. It’s not about moving the story forward as much as it is getting people in the door as many times as possible, and that often means telling the same story – or something incredibly similar – over and over again. Where She Went is different. It sheds the intense drama of an ICU unit and embraces the bright lights of New York City with mature eyes and hardened hearts. It challenges audiences to allow characters to evolve, and not always in the way(s) that they might expect. I will be the first to admit that If I Stay was too heavy-handed with its drama and overall left a lot to be desired (in the mind of a 26-year-old man), but I would line up today for a chance to visit Mia and Adam later in life. One of my biggest frustrations with the original story is that it feels like everything Mia and Adam say to one another is over-exaggerated on account of Mia’s coma, but the plot for Where She Went would allow for each to be more honest with the other, as well as themselves. The emergency that forced them to face their own mortality would be a distant memory, but the music and creativity that gave them purpose would still be in tact. Maybe their love was true. Maybe it was not. Either way, this film would allow the characters, as well as the audience, a chance to better understand what Mia and Adam shared during their high school years. 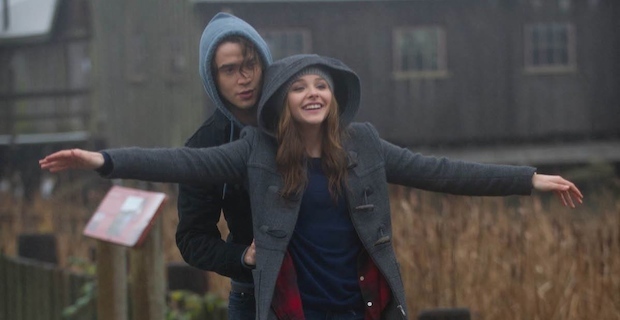 Making $17 million in three days is not often viewed as a major feat in Hollywood, but the story changes when your budget is estimated to be at or below $13 million, and that’s the case with If I Stay. In the weeks to come, every dollar earned will push the film further into the heart of every stock holder at Warner Bros., and as that love grows so will the desire to see just how much money this series can earn. When that time comes – and trust me, it will come – Where She Went will be up for review. If you think it should become a reality, tweet at the studio and make your opinion known. If not, tell people not to see If I Stay. The movie may be a success now, but if things drop significantly in week two the hype will die not long after.